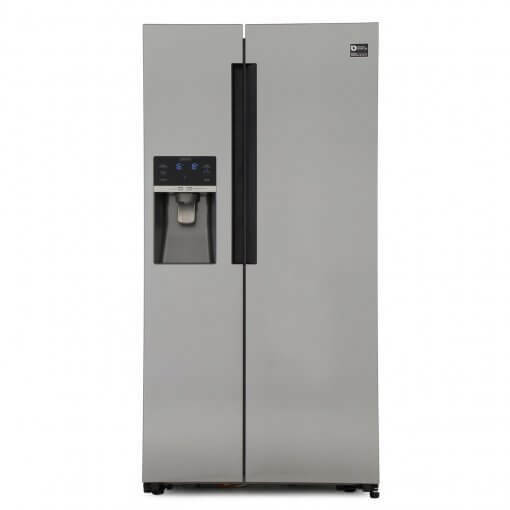 Keep your food fresher for longer with this Samsung fridge freezer. 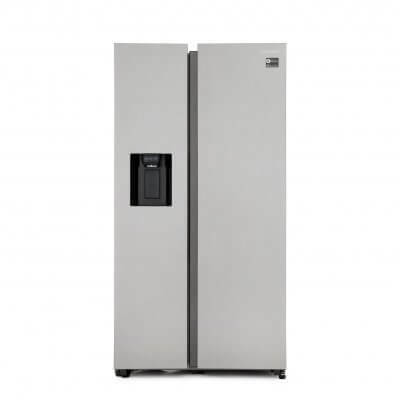 The RS58K6387SL is ideal for families with its large capacity, range of storage options and innovative technology. 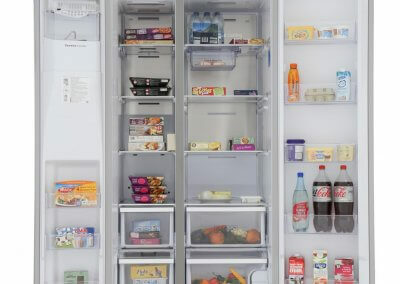 You’ll also have two clear freezer drawers to store your frozen goods, so you’ll be able to see the contents easily. 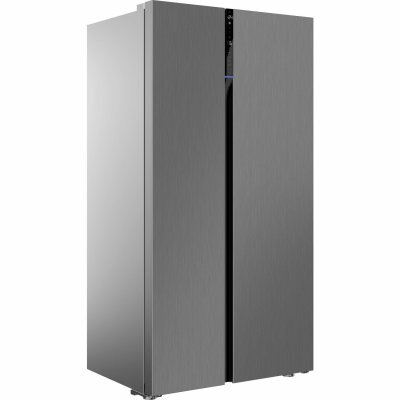 Offering the latest innovative features, Samsung’s RS58K6387SL is a great addition to any kitchen. 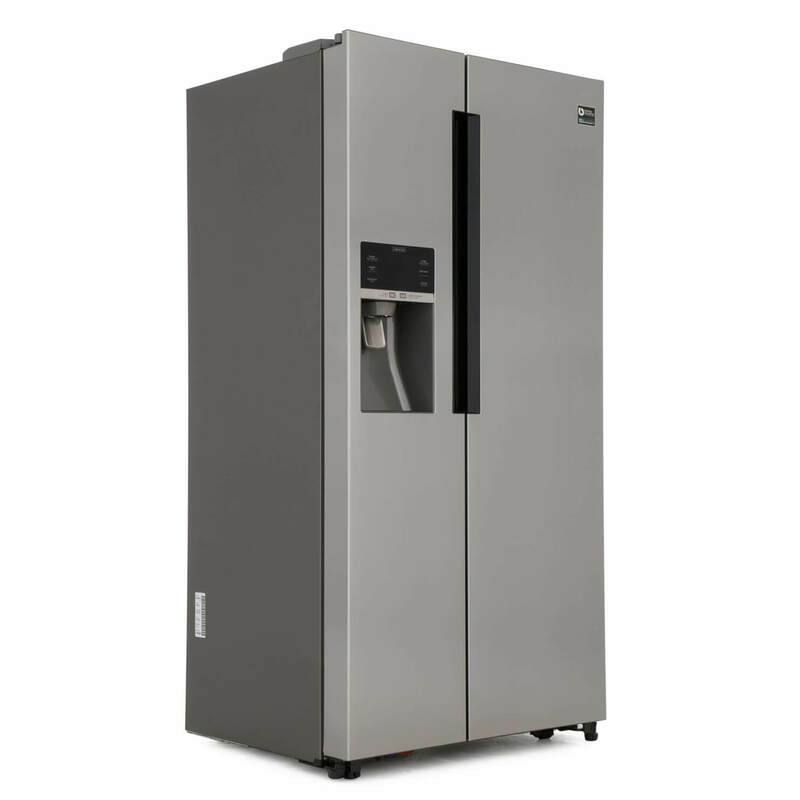 Thanks to Twin Cooling Plus technology, this fridge freezer will maintain optimal humidity levels. Keep your food fresher for longer and prevent any unwanted odours, so your food can keep its original taste. 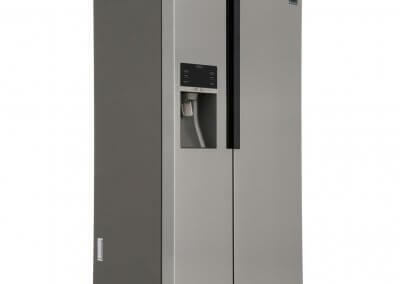 You can even enjoy chilled filtered water, as well as crushed or cubed ice from this American style fridge freezer. 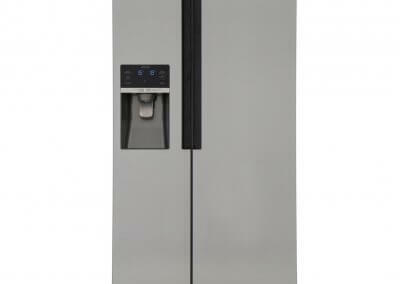 And, the easy clean steel finish gives the appliance a stylish, modern look that you’ll love. Plus, you’ll barely even notice that the fridge freezer is running with a 40 dB noise level – quieter than a conversation. Samsung has packed the RS58K6387SL full of great, handy features to make your home life easier. 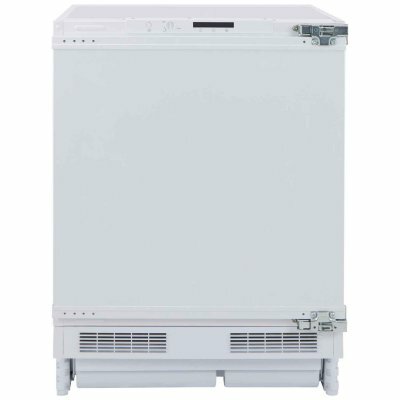 Store frozen food for up to 12 months with the four-star rated freezer – a superb money-saving feature. Also equipped with frost free technology, you can say goodbye to manually defrosting your appliance. 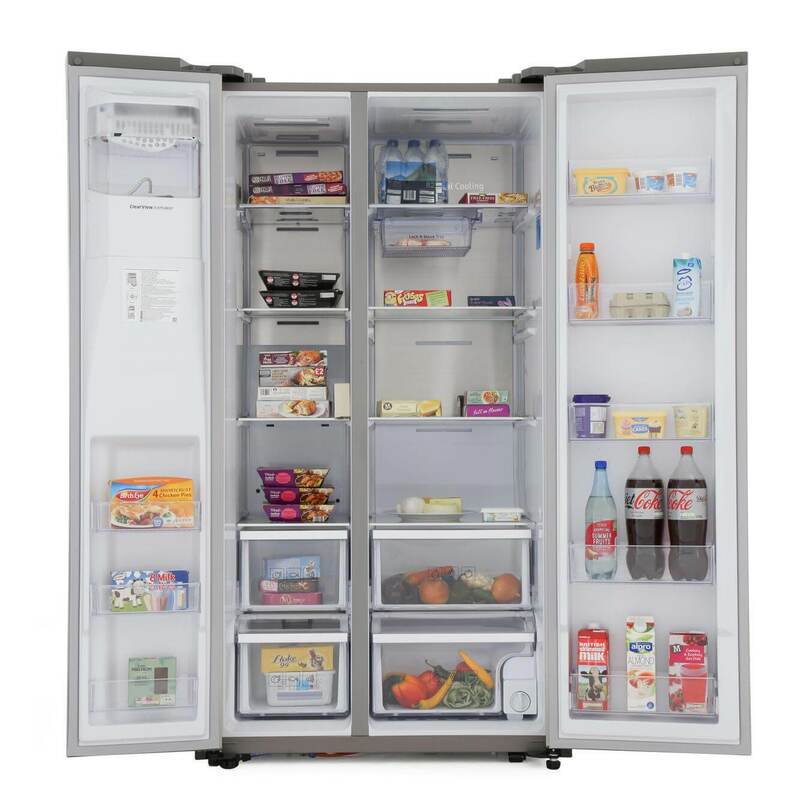 This Samsung fridge freezer will even be kind to your pocket with an energy rating of A+, and costing just £31.85 to run annually. There’s also a 12 hour storage period in power failure, so you won’t lose your frozen food in a temporary power cut. And, the LED light is not just energy efficient but is also brighter than a standard fridge light.